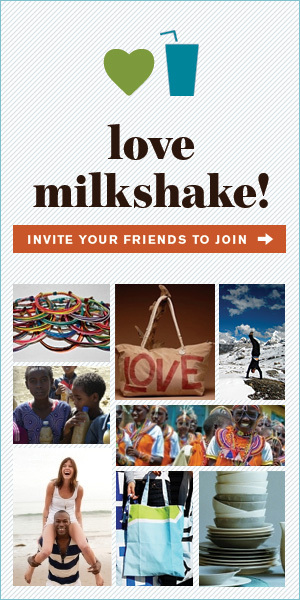 Yummy food delivered to your door each month from a brand that feeds a hungry child with each purchase? Mmm... yes, please. By now, most of us have heard of Birchbox, the company that delivers a new package of beauty products to your door each month. Our most faithful Milkshake readers will recall that we've also covered Umba Box (homemade goods) and BarkBox (treats for pets), and now the doorstep delivery trend has jumped the shark ever-so-deliciously into the realm of gourmet foods. That alone is enough to whet our appetites, but it's made even sweeter when we learn that the company behind it, Love with Food, donates a meal to a child in need with each box delivered to your door. 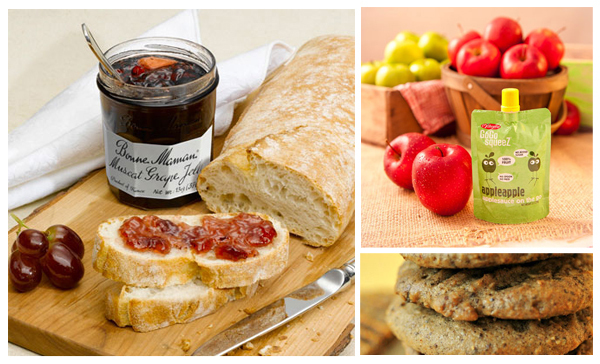 Featuring yummy products like Bonne Maman muscat grape jelly, Nature's Bakery whole wheat apple & fig bars, and Natasha's gluten-free "Health Nut" cookies, Love with Food sends you a box a month for $10 each if you sign up for a one-year subscription. Shorter plans are also available, but wouldn't it be lovely to receive a monthly surprise package filled with sweet treats for the entirety of 2013? For each box you receive, a meal is donated to one of two charities -- Feeding America and Share Our Strength -- to which Love with Food has already given more than 17,000 meals. The brand also donated goods to New York and New Jersey food banks to help in the wake of Sandy's aftermath. As far as we're concerned, this whole concept is doubly delicious. And after talking about all this delectable goodness, we're now officially craving something sweet. Time to place an order! Feeding America is the nation’s largest domestic hunger-relief charity. Its mission is to feed America’s hungry through a nationwide network of member food banks and engage the country in the fight to end hunger. Each year, the Feeding America network provides food to more than 37 million low-income people facing hunger in the United States, including 14 million children and nearly 3 million seniors. Its network of more than 200 food banks serves all 50 states, the District of Columbia and Puerto Rico, securing and distributing annually more than 3 billion pounds of food and grocery products.